I love when food is presented in a beautiful way. When I was little girl we had a really neat book about a caterpillar who was trying to find something to eat. Each page was a beautiful display of foods but as you turned the book upside down to read the text the food would turn into a face that would tell him to go away. I loved this book and how creative it was with the placement of food. Food really is beautiful and if placed right can be stunning. 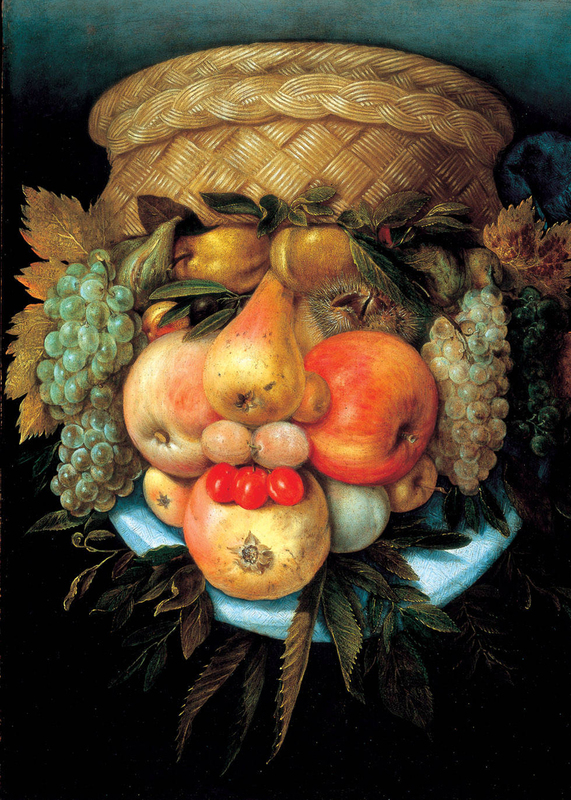 No wonder so many ‘still life’ paintings are of fruit or a bowl of food. Let me introduce you to a new canvas in the food world; the Breakfast Smoothie Bowl. The Smoothie Bowl is the perfect opportunity to make food into art! Smoothie bowls are what they sound like, but they’re better. 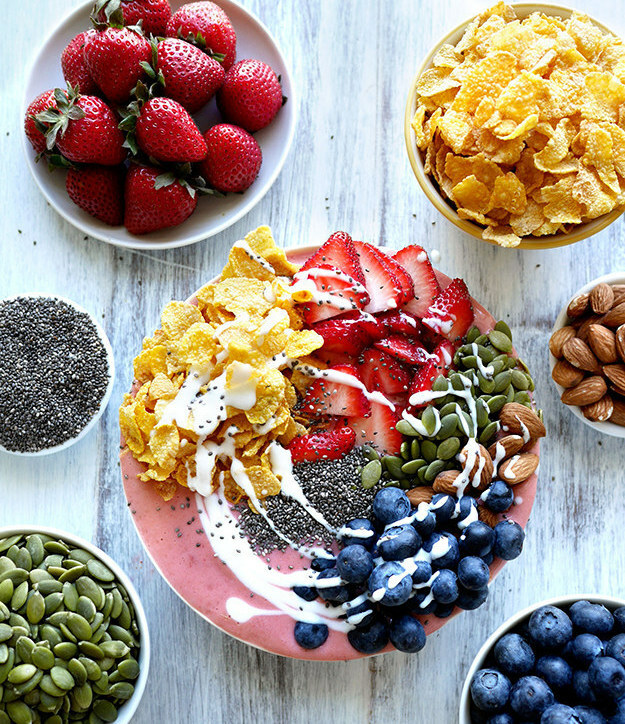 You can create pretty much any combo of flavors that you want and then top it with your favorite fruits and other crunchy things like cereal and nuts. This means it’s more satisfying than a regular smoothie because you can’t down it in 10 seconds. And they literally will look like you are eating art. They are beautiful. I feel like smoothies on their own are just lovely, their colors are always vibrant. But then add toppings and you’ve got a whole new aspect! There really are endless recipes for smoothies, right. You can do fruit, green, peanut butter, chocolate, oats…all types. If you are are a Dessert-for-Breakfast type of folk, this one’s for you. 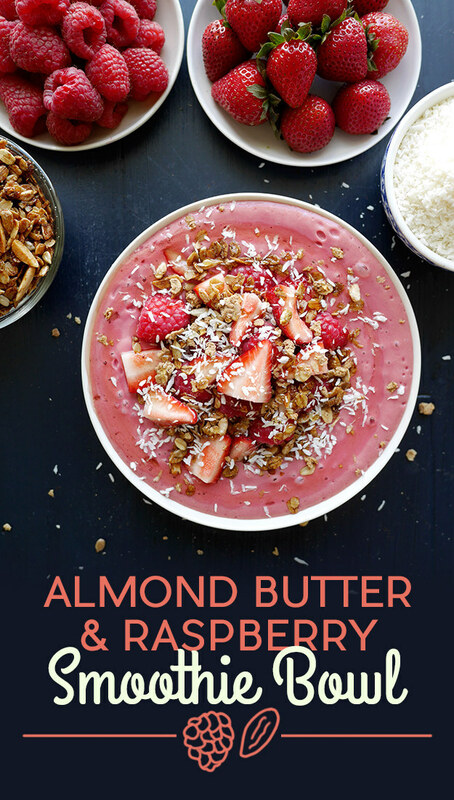 The Almond Butter and Raspberry Smoothie Bowl. To make the smoothie, blend banana, raspberries, soy milk, ice, almond butter, and honey. The toppings are strawberries, raspberries, granola, coconut, and a drizzle of honey. It is beautiful and delicious and full of color. Once you’ve tried this recipe, swap peanut butter and strawberries in for a change of pace. There are so many smoothies out there and the toppings to decorate them with are endless. You’ll be making smoothie bowl art pieces over and over and over. For the smoothie (first three). 1-1 1/2 Cup of Frozen Fruit (or sub 1/2 cup veggie), and a large banana. The banana really is the secret to a smooth and amazing smoothie! 1-2 Tablespoons of Nut Butter or Sweetener of your choosing. Then for toppings go for the works! You really can add anything you choose. 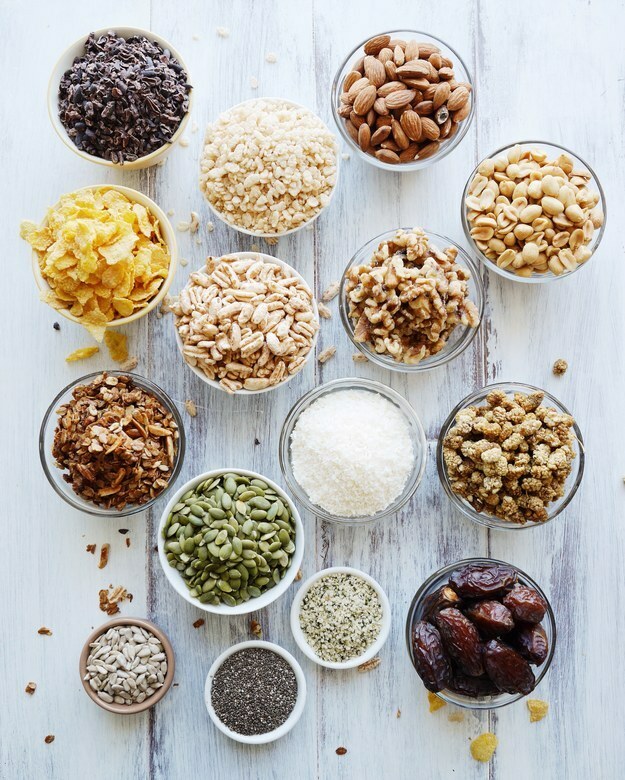 Here are some ideas of great toppers: nuts, pumpkin seeds, granola, dried fruit, cereals, cinnamon, shredded coconut, fresh fruit and so on. PRO TIP: If you want to make a pretty design, add the heaviest ingredients last to your smoothie bowl. This way they don’t immediately sink and not show in your beautiful handiwork. So, there you have it. You can be an artist every morning for breakfast. Enjoy trying the canvas of a breakfast smoothie bowl in your food choices this year! Blend the banana, 1 cup of the raspberries, soy milk, ice, almond butter, and 1 tablespoon of the honey until smooth. Transfer to a bowl and top with the strawberries, granola, coconut, remaining ½ cup raspberries, and a drizzle of honey.